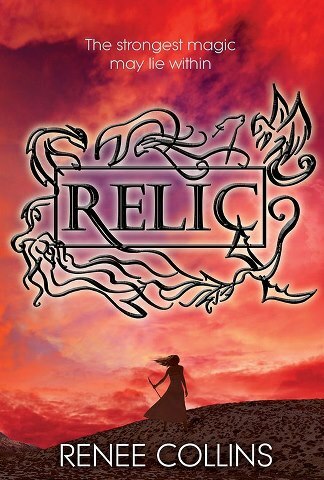 Although I had some minor problems with Relic, I mostly enjoyed it, and I'd recommend it to fantasy fans who are looking for something unique. Hands down, my absolute favorite thing about Relic is the setting. How often do you read a YA book - with fantasy elements, no less - set in the West? It's a creative and enthralling setting, and Collins writes the descriptions of the land very well. I'm usually not a fan of westerns, but Relic has changed my mind about that! Also, the plot held my attention pretty well. The opening chapters are very gripping and action-packed. The plot slows down slightly in the middle of the book, when Maggie and her sister are staying at Alvar Castilla's home. I felt like I was waiting for something to happen, but the plot picks up quickly after that and there are lots more developments. And there's an awesome little twist at the end that I didn't see coming! 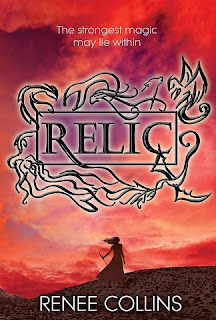 I liked most of the characters in Relic, especially the minor characters. Maggie got on my nerves here and there, but I really liked her little sister Ella and her friend Adelaide. I thought Alvar Castilla to be very stereotypical at first, but he turned into a rather fascinating character with hidden layers to him. I did get annoyed with Maggie sometimes. I like that she thinks things through and is very practical, but she makes some foolish decisions that I didn't like. For example, staying at Castilla's house and letting herself get swept away in a life of luxury. It didn't really fit her "sensible" character and I got irritated with her at times. And I wasn't crazy about Landon, the love interest. He seemed too much like your typical YA love interest to me: he's a bit of a "bad boy," but of course he has a sweet side and immediately falls in love with the heroine. So I just wasn't really a fan of the romance. Another small issue is Maggie's sister Ella. Great character, and I loved the relationship between the two, but I wish she'd had more development. Maggie was always going on about how much she loved Ella and wanted to take care of her, but Ella was never really in enough of the scenes. I would've liked her character to have a bigger role. Still, these are just little things I noticed, and for the most part Relic is an entertaining story with a brilliant setting and creative fantasy elements. I can't wait to read more of this author's work!